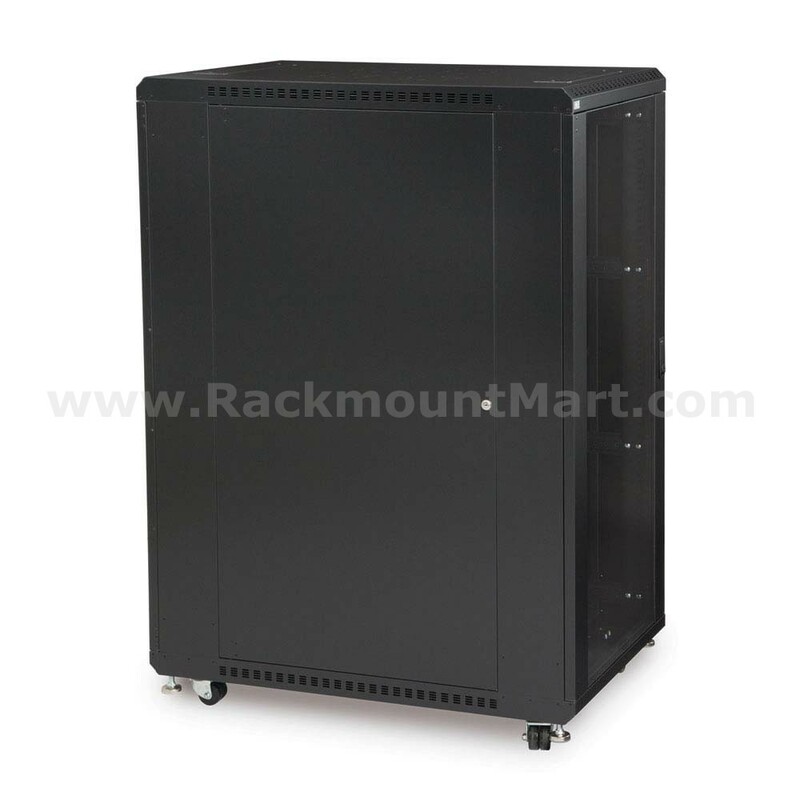 The full size rack is our entry level cabinet. 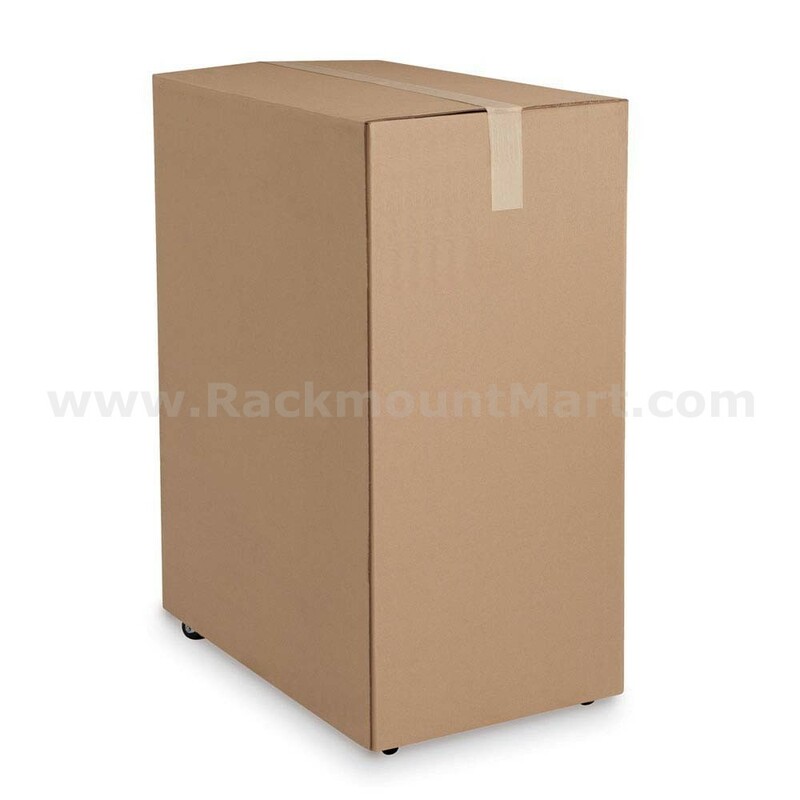 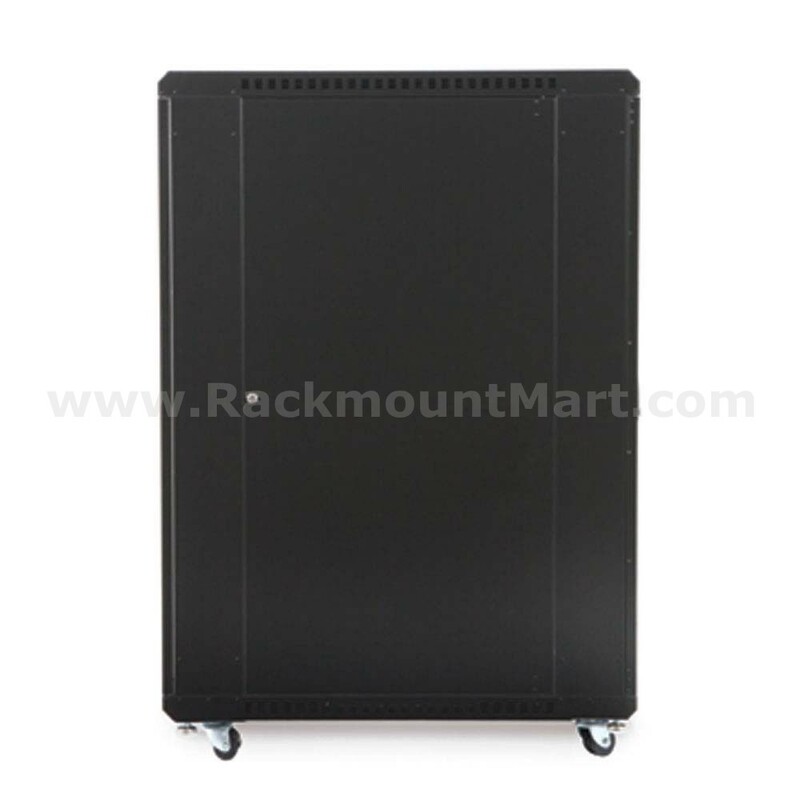 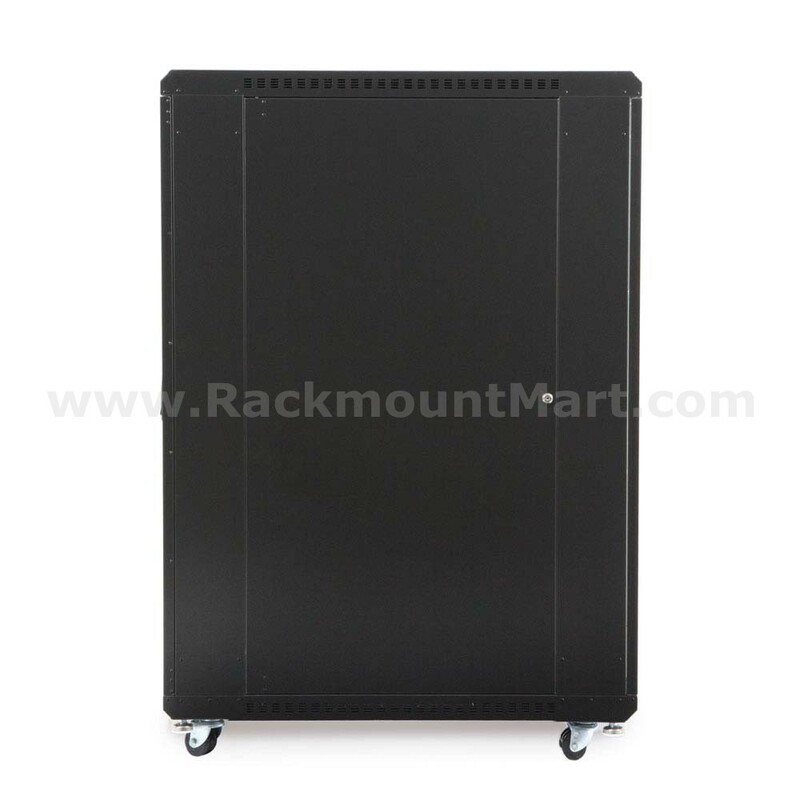 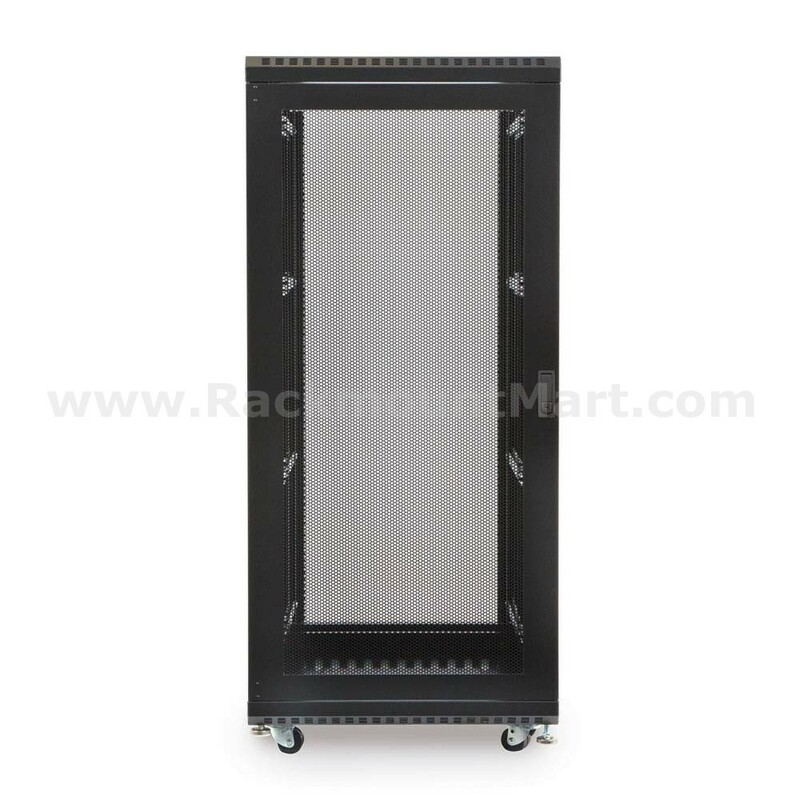 This rack comes with a glass door on the front and a vented rear door. 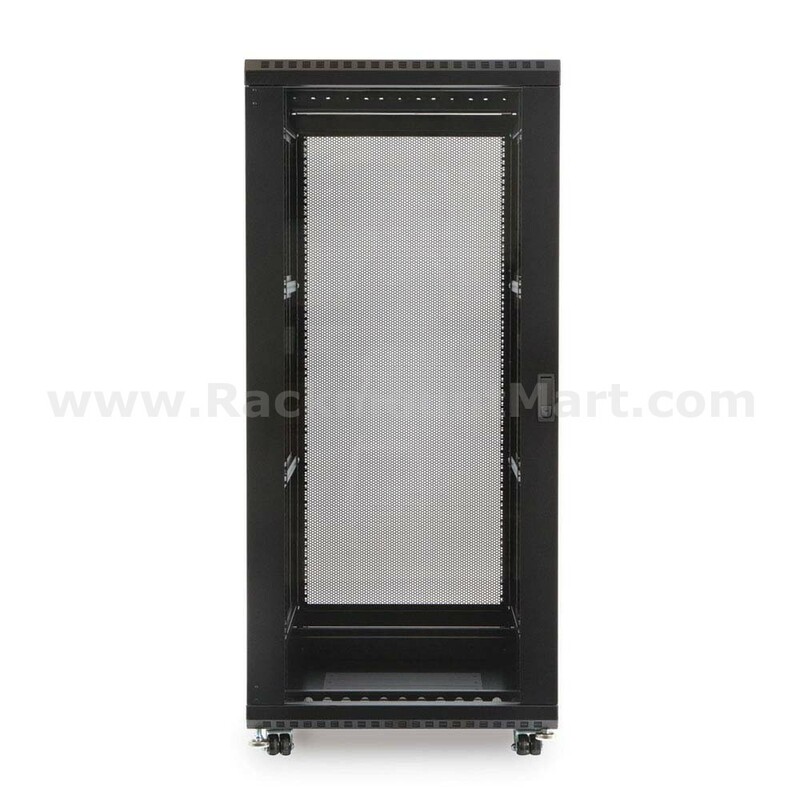 Each rack has 2 sets of vertical rails, adjustable in 1 inch increments, lockable/removable side panels, casters and levelers. 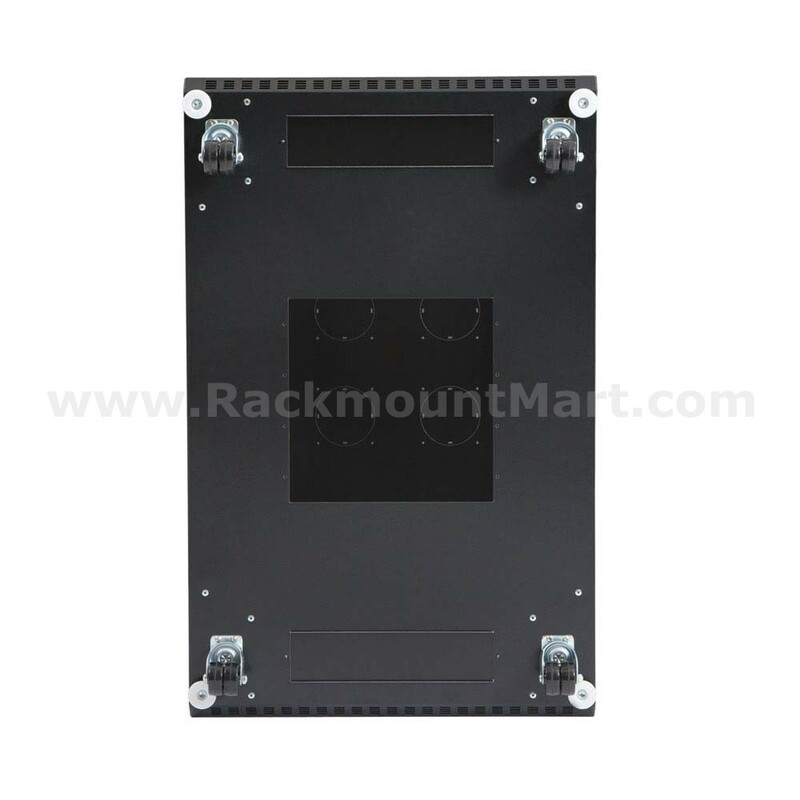 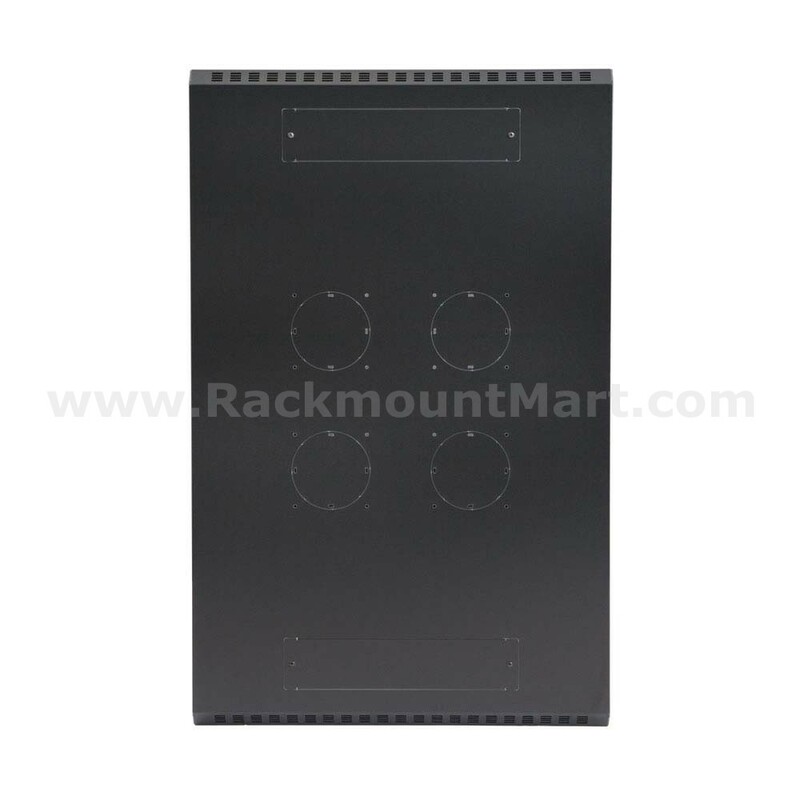 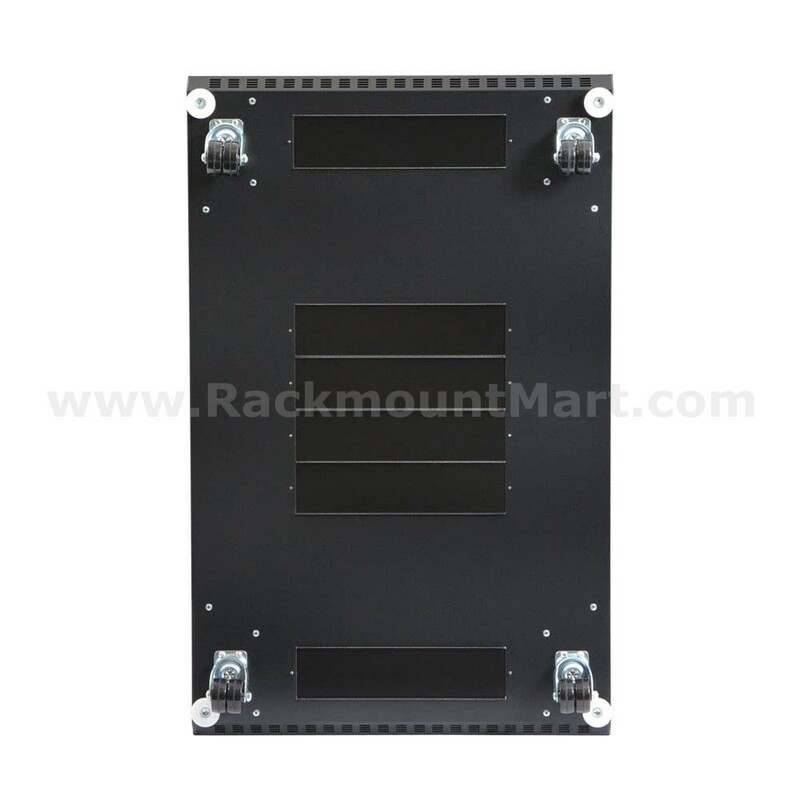 The top of the cabinet has cut-outs allowing you to install up to four 4 inch fans while there are removable cable slots for easy installation for all your network communication lines.